The Toronto Mendelssohn Choir has a long history with Canada’s national anthem. 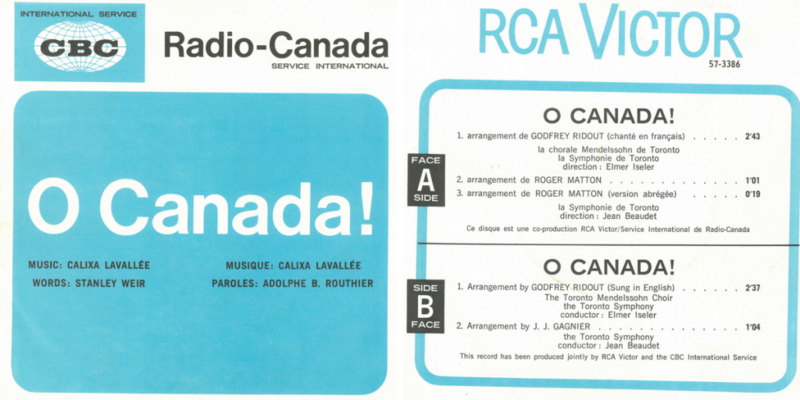 The Choir first performed the Thomas B. Richardson English version of O Canada (music by Calixa Lavallée) in 1907 at Massey Hall – long before it became Canada’s official national anthem. In 1965 the Choir, under conductor Elmer Iseler, recorded the Godfrey Ridout arrangement which had been published that year. Since then this arrangement has been the one sung by the TMC. For more on the history of O Canada, visit The Canadian Encyclopedia. To launch the year of Canada’s 150th anniversary of confederation, the Choir performed O Canada at its first concert in 2017. TMC performed the Godfrey Ridout arrangement, with the first verse in French, words by Adophe Basile Routhier, and the second verse in English, words by Robert Stanley Weir.